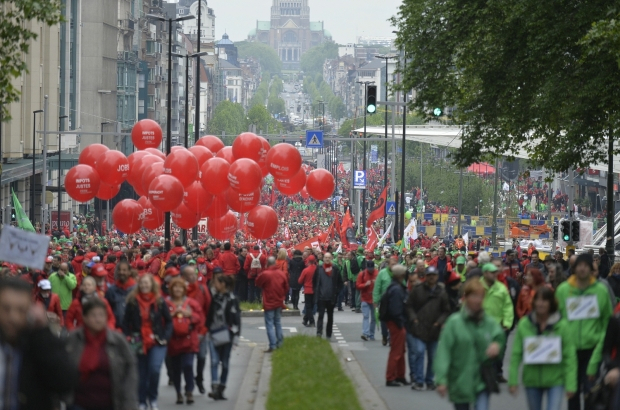 Three Belgian trade unions have called a general strike for Wednesday 13 February in protest at "meagre" wage increases capped at 0.8% this year. The CSC, FGTB and CGSLB say negotiations with government are "deadlocked" and have invited members across all industries to take part in the day of action. The unions have challenged the government's inflation calculations and are calling for a 1.5% pay increase to be the norm, adding that 0.8% "did not correspond to workers' aspirations". "The unions are sounding the alarm by organising a day of action on the ground," the three unions said in a joint statement on Tuesday.